Thanks to his healing factor, Wolverine has survived a lot over his many years. But now that healing factor is gone, and Wolverine's time is drawing to a close. If this book had just been part of a Wolverine series rather than his big death, it would have been a solid 4 stars for me. However, as a send-off for such a major character, I found the book lacking. His death just left me thinking, "That's it?" instead of feeling like it was a fitting or satisfying end. This wasn't a bad book. 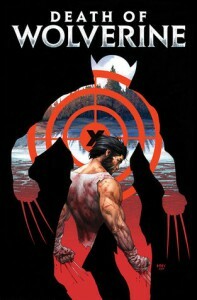 The art was nice, and I liked how Wolverine was portrayed. Wolverine without his healing factor had to play things smarter, and he was fun to watch. I think I would have enjoyed this as a longer Wolverine series. Just not as his death. Because as the big event of Wolverine's death, this book is a letdown.